fyi, four posts is apparently the maximum number of posts you can write about someone before you are permanently associated with them in the mind of everyone you know. which is both awesome and deeply frightening. 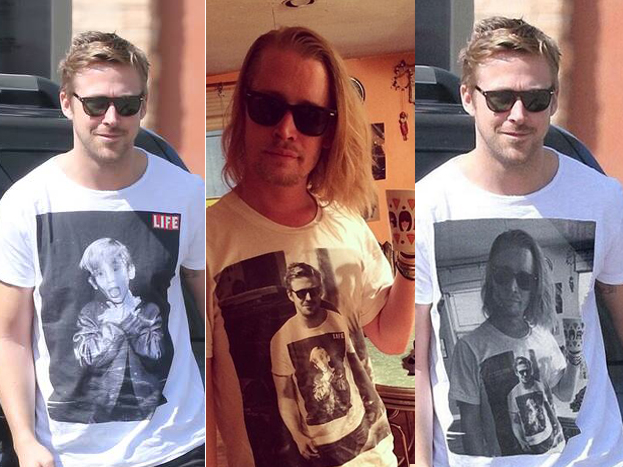 gosling wore a shirt with mac’s picture. mac wore a shirt with the picture of gosling wearing a shirt with mac’s picture. and then gosling wore a shirt with a picture of the picture of mac wearing the shirt with his picture of gosling wearing the shirt with his picture. god, that sounds like a james franco poem. so yeah, that happened. what else? sounding a little familiar? as is the mail‘s wont, the article is a lengthy narration of a series of photographs. isn’t this just a little shades of taco bell 2012??! what with the two alcohol mentions in the title alone? srsly, i can’t think of another male celebrity that the mail so consistently concern trolls. (to be a bit concern trolly myself, dear daily mail, where are your proofreaders??! except NOOOOOOOOOO. of course mac is DOOMED!!! remember that time there were those rumors?? i also thought we would maybe get away without a mention of the resemblance jordan lane price bears to kunis. um… no. so the funny thing about this article is that- aside from mentioning the heroin rumors and the kunis connection- it’s pretty positive. 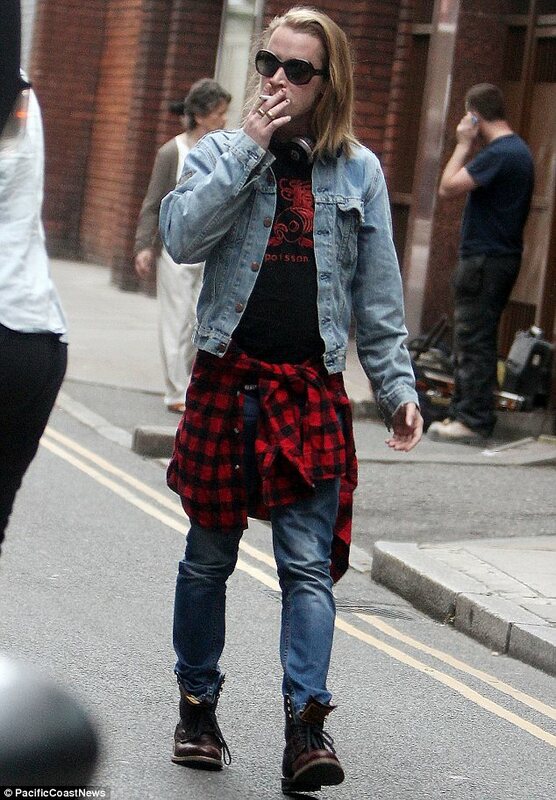 you could almost conclude that macaulay culkin- aside from a RAGING nicotine addiction- is doing pretty well. OHMYGOD WHERE TO BEGIN?! everything about this article is priceless. 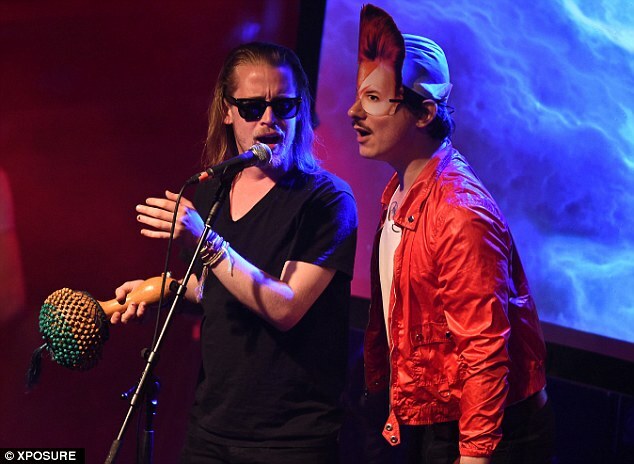 not to mention the fact that one of his bandmates was apparently wearing a ziggy stardust mask (which i totally covet). he actually returned to the stage to finish the set. which, well, BALLS. 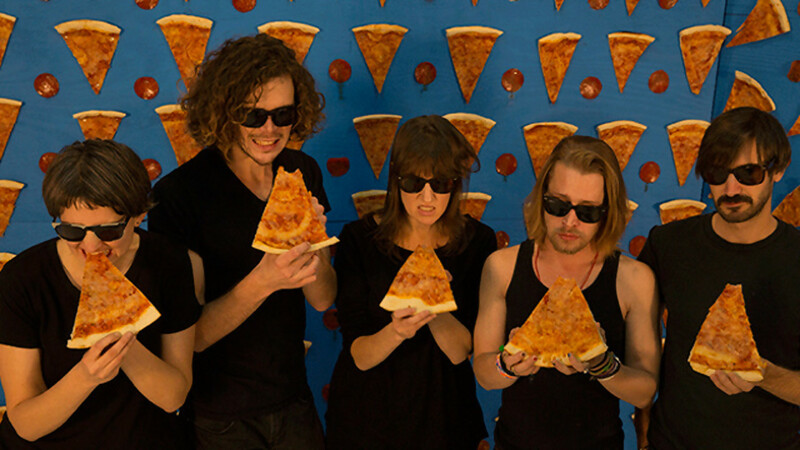 really though, when you’re going to see a cover band whose lyrics are all about pizza shouldn’t you already be open to the idea that it may very well be the weirdest thing you ever watch? i feel like that’s a good psychological prerequisite. 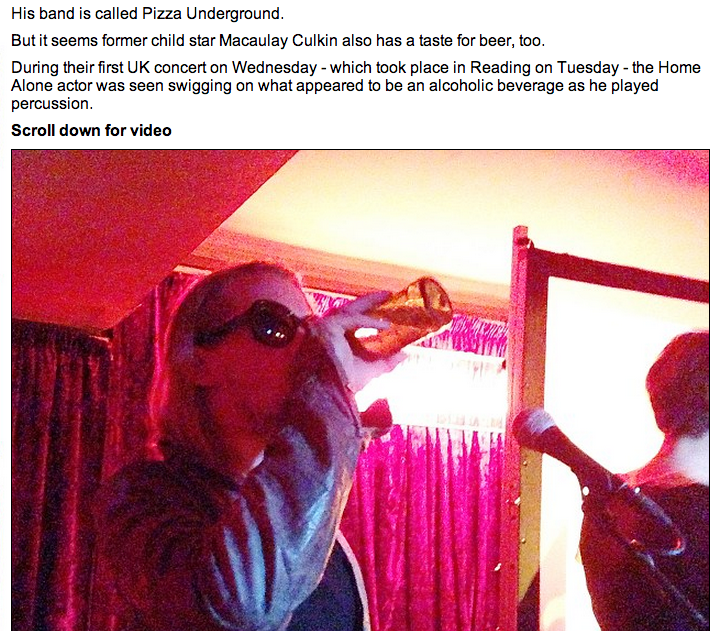 evidently no, as the pizza underground appear to be meeting a pretty brutal reception here in the UK. 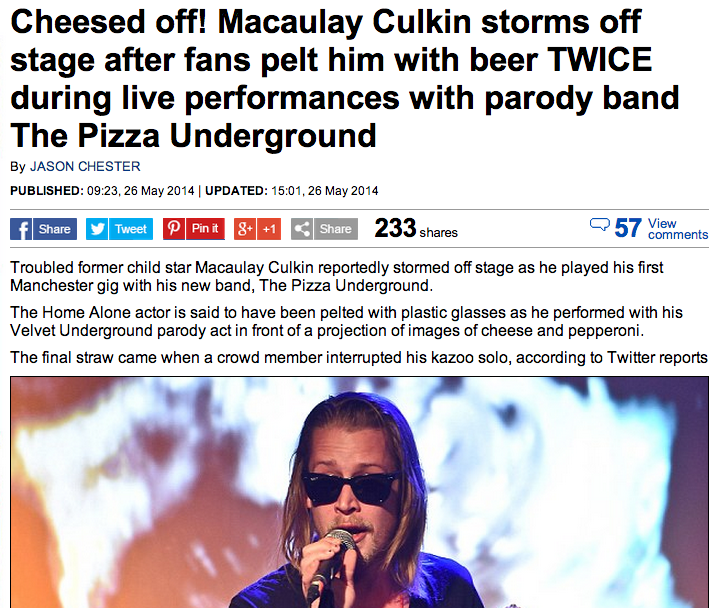 you know, when i started writing about macaulay culkin last year, it was mostly because the way the daily mail reported on him was so incredibly weird- the taco bell incident in particular. it wasn’t because i felt any great affinity for him or loved home alone. but this? kind of makes me love him. that he stayed calm. because what the daily mail is characterizing as a tantrum doesn’t actually appear to be. and that’s rather impressive. 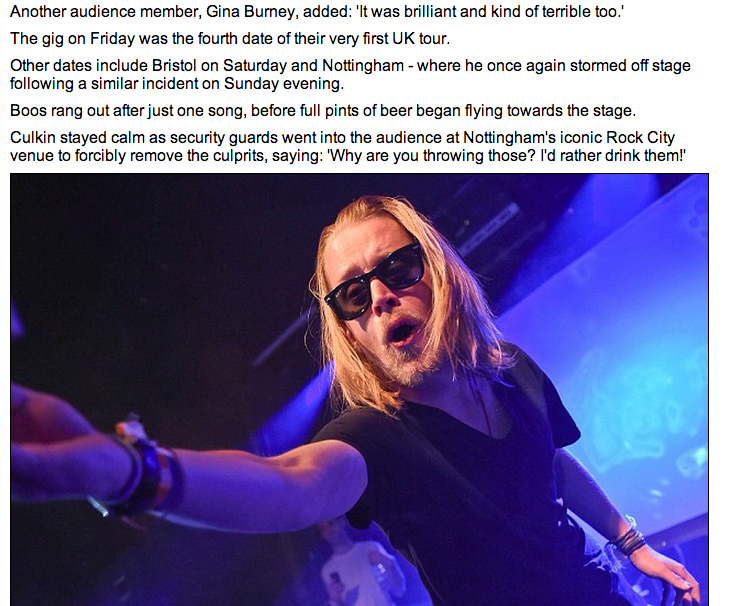 were i pelted with plastic cups, i’d pitch a fit. he’s surprisingly zen. hey, you know what else? for real. 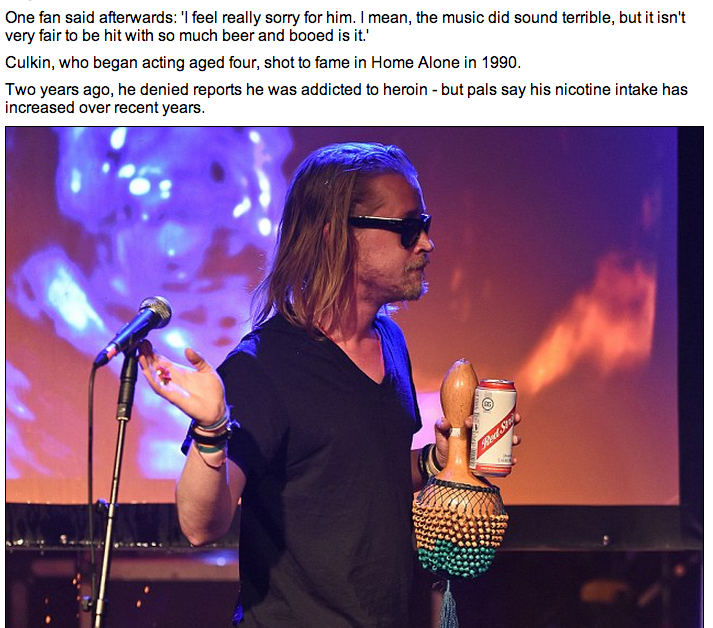 does the daily mail give these three paragraphs to every writer assigned to write about mac? 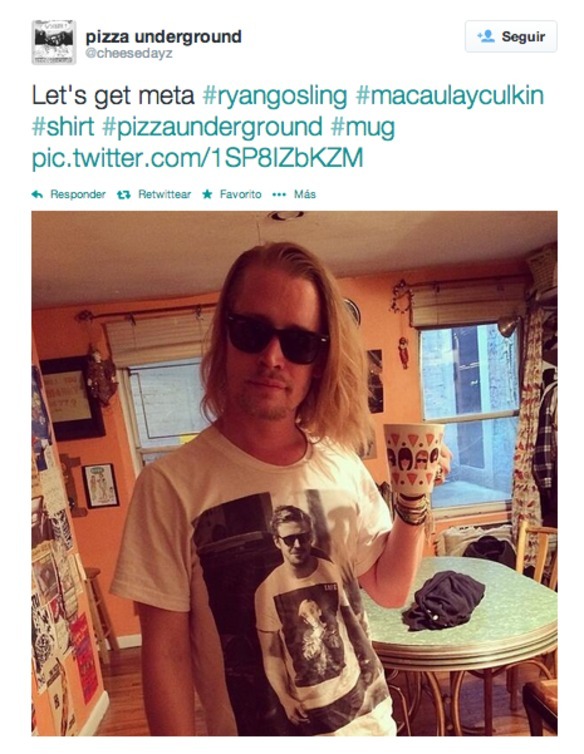 This entry was posted in macaulay culkin. Bookmark the permalink. great! now all want in the world is to eat pizza with mac. oh they mean “that guy split up with mila kunis can you believe that?! ho but she is now with someone else what a loser!” they mean that. and it’s very obvious. even he’s now with someone else they’re saying “oh she looks like his ex! ta ta ta someone’s not over haha!” poor jordan! what she feels like? “oh my boyfriend doesnt love me, he’s with me because i remind her his ex?” i dont say she’s thinking this, but these articles absouletly want her think that. isnt that shame? i’d be very angry if i were jordan. i’d be like: he’s my boyfriend now, so shut your mouths about his past love life. gosh! i had something to respond with yesterday about the loaded use of the phrase “former child star” but can’t remember what it was. blurgh… let me try: that phrase seems to do something similar (implying, as it does, drug use, irresponsibility, early death, etc.) to what the kunis stuff is doing (which is exactly what as you said). this is the way the story is told- he’s a “former child star” and, therefore, always wayward and on the edge, and he’s “the ex-boyfriend of mila kunis” and, therefore, the man who lost her. which is so so fascinating to me probably because this is usually how women are portrayed and not men. 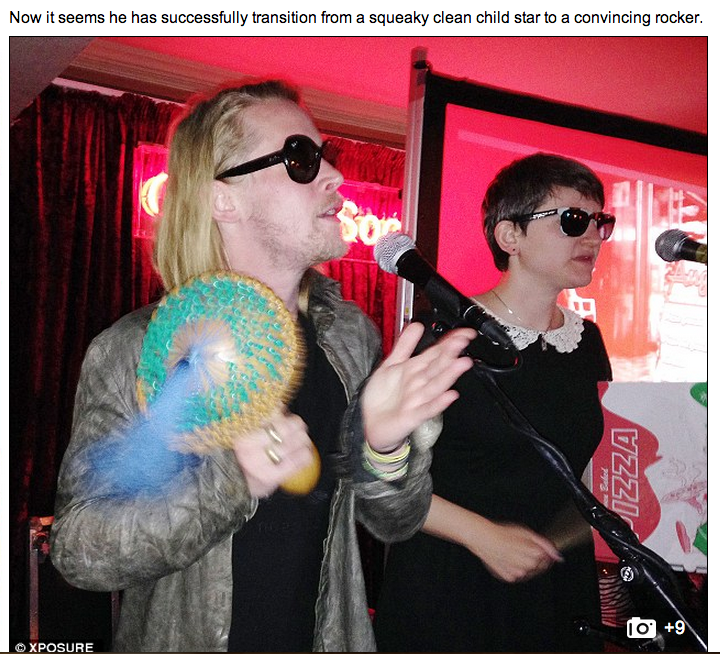 i wonder if, in culkin’s case, that does have something to do with the “former child star” bit. if, when someone has been a child star, there’s a feminization of the way the media tells their story later on (though i can think of no other examples of this off the top of my head)… could be total bunk but there’s definitely something very strange going on with culkin and the daily mail. and yes indeed, i hope both culkin and price avoid the DM! !